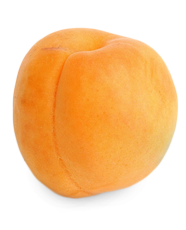 Bright orange with a rosy or peachy blush usually means ripe fruit with sweetness and flavour. The fruit should be firm and free of soft spots. While best eaten when freshly picked, ripe apricots can be stored in the refrigerator for some time. Unripe apricots will soften and mellow at room temperature, out of direct sunlight. Simply rinse fresh fruit before eating raw. For main dishes, apricots can be paired with lamb, rice pilaf or bulgur (cracked) wheat, as in middle eastern cooking. They also marry well with ham, chicken or duck, and are particularly suitable in stuffings or glazes. They are great for cooked desserts, as well. Simmer or poach in a light vanilla or lemon-flavoured syrup, or use as part of a glaze for cakes or tarts. Apricot wine or apricot brandy will enhance dark chocolate and almonds with additional dried apricots as a simple, colourful and heart warming dessert. They can also be featured in apricot crumble or in jams, as well as being a tasty flavouring for ice cream and sherbet. For use in puddings or as fruit: cut in halves and pit. Pack in moderately thin syrup.